Tottenham Hotspur have reportedly put a £220m price tag on the head of Christian Eriksen in an attempt to deter interest from Real Madrid. The playmaker is one of the few remaining key members of Mauricio Pochettino’s squad yet to commit his long-term future to the club, with his current contract due to expire in the summer of 2020. Spurs are currently in talks with Eriksen over extending that deal, but Madrid are hopeful of prising him away from North London when he enters the final year of his current terms. However, Spanish publication Marca reports that Tottenham chairman Daniel Levy has told the Spanish giants that it will take a world-record fee of £220m to sign the Denmark international. Madrid view Eriksen as the ideal replacement for 34-year-old Luka Modric, who also moved to the Spanish capital following a successful spell with Spurs. Tottenham have no desire to sell one of their star players, though, and remain hopeful that Eriksen will follow in the footsteps of Harry Kane, Dele Alli and Son Heung-min by penning fresh terms. 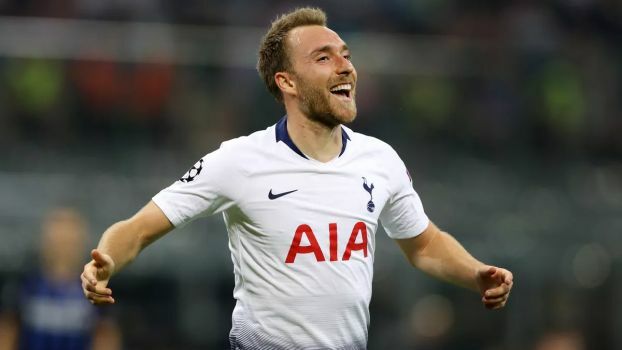 Eriksen has made 240 appearances for Spurs across all competitions, scoring 58 goals – the most recent of which came against Inter Milan on Wednesday night to keep their Champions League hopes alive. ions League clash with Young Boys, which the English giants won courtesy of a late goal from Marouane Fellaini.